Snoring is a sleep centric disorder which is caused by the obstruction in the free passage of air while breathing. It causes hoarse or harsh sound and occurs during your sleep, the muscles / tissues in your mouth get relaxed. At that time, the tongue falls back and this obstructs the passage of air which leads to snoring and creates those irritating sounds. It can lead to any heart problem, increases the blood pressure, etc. 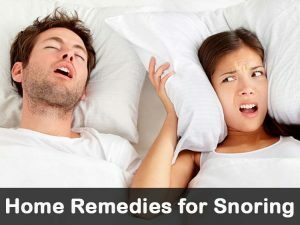 To prevent this snoring problem, follow the below home remedies. Snoring is a common sleep related problem but it can create real problems in your relationship. So, try these homemade remedies to get rid of the problem and also to have a long lasting relationship. Lying on your back on the bed makes the base of your tongue and soft palate will collapse to the back wall of your throat. This will cause a vibrating sound during your sleep. So, sleep on your side which helps to prevent this problem. Try a body pillow (a pillow of full length to support your entire body) as this will helps to maintain sleep on your side and reduces the snoring. Tip to stop your sleeping on your back is to tape the tennis ball to the back of your shirt or pajamas. Raise your head while sleeping on the bed by up to 4 – 6 inches. This makes your head and chest to elevate and stops snoring. You can also lift the top end of your bed by sticking block underneath and also lie on the simply put two additional pillows or special wedge pillows designed to sleep which helps to open up nasal airway passages for better sleeping and to control snoring. Weight is also one of the most common causes for snoring but not for everyone. Just check whether you have gained weight recently or not. If yes means, check whether you are snoring while sleeping at bed time or not and come to confirmation. As if you gain weight means you have a chance to gain weight around your neck and it will squeeze the internal diameter of the throat making it to collapse while you’re sleeping and making you to snore. So, lose your weight as soon as possible by doing some exercises to get rid of this problem. Dust which is accumulates on the pillows and bed sheet will also contribute to snoring. So, change your pillows and bed sheet at once in a week to get hygienic sleep. Once in every couple of weeks, put your pillows in air fluff cycle and try to replace the pillows at least for 8 months to 1 year to keep away the dust and other allergies away from you. Also avoid pets to sleep on your bed which causes a breathing problem and increases the snoring. Another main reason for snoring is working more hours without enough sleep so that you will get overtired. This makes you sleep hard and deep where the muscles become floppier to create snoring. So, take enough rest after your work to get pleasant sleep without snoring. If snoring is due to your nasal passages of your nose then keeping it open will helps to allow the air to move slower. In this way, if your nose is narrowed or clogged due to some health problems like cold, flu or any other blockage then the fast moving air through nasal passage will makes you to snore more loudly. 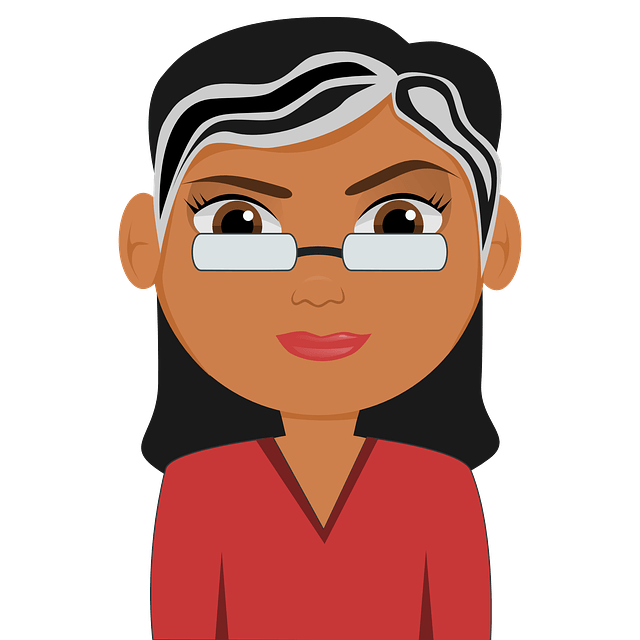 So, to keep your nasal passages clean and open, you have to take hot water shower before going to bed or use neti pot solution to rinse your nasal or sit in the room and allow the steam to pass through your nasal passages etc. to get rid of this problem. Another best option is to use Nasal strips which works to lift your nasal passages and also to open up them. (Use these while the problem exists in your nose but not within the soft palate). It helps to shrink the lining of your nose and throat. It is effective especially in the situation where snoring caused by head cold or an allergy i.e. for a temporary condition. To make it add one drop of peppermint oil in a glass of cold water. Mix it well and gargle/swish with it. But don’t swallow it. Put it in each nostril once in the morning and once before going to bed. Brahmi oil, an ayurvedic herb can be used in the place of butter to get relief. This helps to reduce the snoring by making your breathe free from any obstacles. Take lukewarm milk and add turmeric powder into it. Drink this before going to sleep to get relief from your snoring. This helps to open up the blocked nasal passages for the free passage of air. Take warm water and mix cardamom powder in it. Make sure that it is mixed well. Drink this water before going to sleep. Regular drinking of this water will lessen your snoring. Tongue is also main part in causing snoring as it falls back when your muscles in the mouth get relax causes snoring problem. Stick your tongue out as far as you can do to tolerate it. Then relax and repeat the same process for 10 times. Continue it for 5 times. Repeat this wide smile as many times as possible for you throughout the day. Sing a song loudly like this first start with La-La-La and hold each La for 3 seconds. Now follow with Ma-Ma-Ma and do the same as before one. This singing exercise will strengthen your throat so that there will be no chance to get relax. Follow this process to tighten your mouth tissues and prevent snoring while you sleep. Perform a Chewing Motion by closing your mouth. Making sure that molars on both sides move apart so that touch again. Making an ‘mmmmm’ sound will be an added advantage. Continue it for 1 minute. Change in your diet will make changes in your health. So, have a proper diet regularly at same time by including all essential vitamins and minerals or proteins. Take your dinner at least 2-3 hours before you go to sleep will definitely helps you to reduce snoring. Avoid caffeine and other dairy products and soymilk in the nighttime while before going to bed. Have a light meal, which should be completed before 3 hours of your sleep will helps you not to snore more in the night time. Avoid taking excess sweets and other carbonated drinks in your diet especially in the dinner time. Include food which has less in carbohydrates at night time to maintain a healthy diet and get relief from snoring problem. Have small meals for 3-4 times rather than one single big meal as it leads to many health problems. It is an Australian native wind instrument. It produces a strange droning sound which helps to strengthen the soft palate and throat to reduce snoring. It lessens the daytime sleepiness which is the symptoms of snoring and sleep apnea. It is shown that people who played this instrument for about 20 – 25 minutes a day followed by many days in a week has experienced less snoring in everyday. So, if possible play that instrument to get control on your snoring length and intensity. It is a mandibular advancement device called as oral appliances. It looks like a mouth guard and you have to wear it at night time while sleeping. Research says that it is 90% effective at reducing noise from snoring. It functions to keep your lower jaw pushed out and widening the airway to reduce the snoring. Or simply you can buy an OTC device known as snore guard. You have to boil it and then fit this into your mouth to create an impression of your teeth. As this snore guard also performs the same as mouth guard i.e. it brings your lower jaw pushed out which make the back of your throat less crowed. It helps to stop snoring as it works by keeping your chin extended so that your throat doesn’t bend and this will help your airway stays open. It is available at drug stores or medical supply stores. So, use this at night time to reduce your snoring. Tips are also effective in treating the problem. So, follow these tips to reduce the snoring problem. Avoid alcohols, sleeping pills and sedatives which will reduce the resting tone of the muscles in the back of your throat and makes you’re snoring worse. and also quit smoking as smoking stops the airways by irritating the membrane in your throat and nose. Staying hydrated will helps to give away many problems even snoring is also one problem in it. As dehydration makes your secretions in your nose and also the soft palate becomes stickier. This will make you more snoring rather than normal sleep. It is recommended to take water and other healthy fluids as much as possible to stay hydrated and healthy too. Exercising your body will reduce the snoring and makes you fit. So, do some regular exercises every day. Sleeping in regular schedule will definitely helps to reduce the snoring problem as it makes you sleep better and also relaxed sleep. Have a Humidifier in your bedroom to keep the air moist as dry air can irritate your nose and throat membranes. Snoring in pregnant women begins because of their weight gain or due to any hormonal changes. Whatever reason it is, that’s not good for both (mother and baby) so, consult doctor to prevent it. Dinner followed by mouthwash with salt content also helps to make your nasal passage free from dirt or impurities. The unobstructed air ways will definitely helps to control the snoring problem. Even sinus can cause snoring so, consult the doctor to take the medications to get relief from the sinus and snoring. Menthol scent can be used to clear your nose so that air passage will be free and snoring will be reduced. Have warm shower or bath as hot moist air will helps in draining the mucus from sinus thereby it reduces the snoring. There are several dental appliances which helps to stop snoring. Consult doctor / dentist to know about it. Changes in your Lifestyle, diet plan will definitely helps to get rid of this problem. There are many over the counter medications which reduce the snoring problem. Take this as a serious problem because it damage your relationship with your partner and also damages your health as it leads to sleep apnea, which is a chronic disease that disrupts your sleep. Consult doctor to take the advice and medications to get rid of this problem.